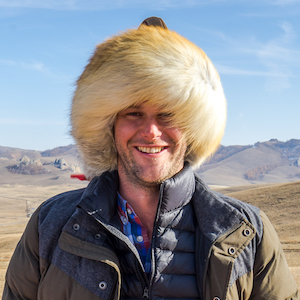 Professional freelance travel writer focusing on Japanese culture and Japan travel. I’m also a journalism teacher. 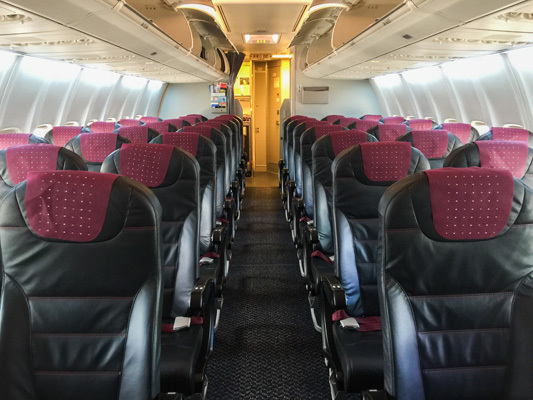 I was really impressed with the comfort and service on the JAL flight from Sydney to Tokyo. The seats are comfortable, the entertainment system is good, and you get served two meals. I also like that it's a day flight so you can arrive in Tokyo, immediately check in to your hotel, and be refreshed to start exploring the next day. Asakusa is known for its landmarks that include the red lantern of Kaminari-mon and Sensoji Temple. The Sumida and Oshiage area, home to the Tokyo Sky Tree, is found on the opposite shore of the Sumida River. Asakusa is home to one of the most important temples in Tokyo - Senso-ji. As you come through the first gate, with an enormous lantern hanging within it, you'll find a long street with shops selling souvenirs and traditional Japanese products. Once you reach the temple itself, you'll find a mix of tourists and local worshippers. To get away from the crowds, you only have to walk a few minutes to find quieter areas of this traditional neighbourhood. There's a peaceful park along the bank of the river and, for children, traditional amusement park! A sushi train isn't just a quirky Tokyo experience, it's also an affordable way to have lunch in the city. Maguro-Bito is one of the best you'll find and has delicious fresh seafood with helpful staff. You can choose different types of sushi from the conveyer belt or order your favourites from a menu. 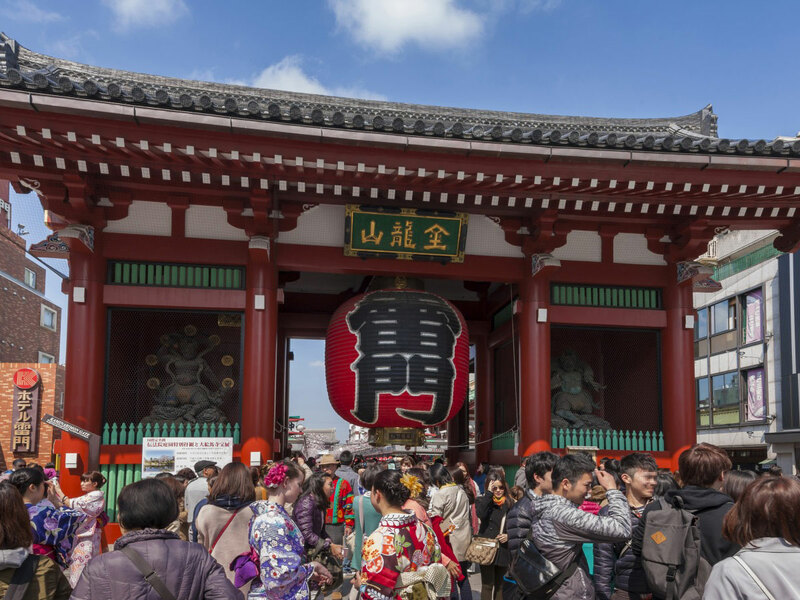 Asakusa is a popular destination for foreign tourists visiting Tokyo. 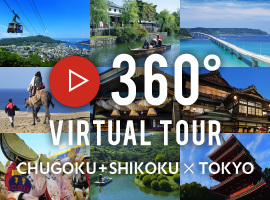 Filled with classic Japanese history and a richly unique culture. 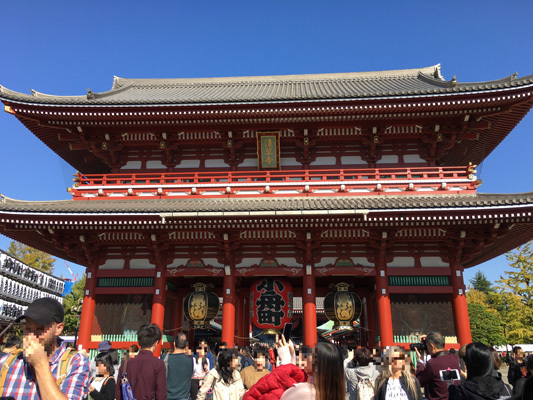 If you want to learn about traditional Japanese but don’t have time to leave the city, Asakusa is a great way to explore the history of the country. If you’re after market fresh sushi in the hear of Asakusa, you can’t go past Maguro-Bito. 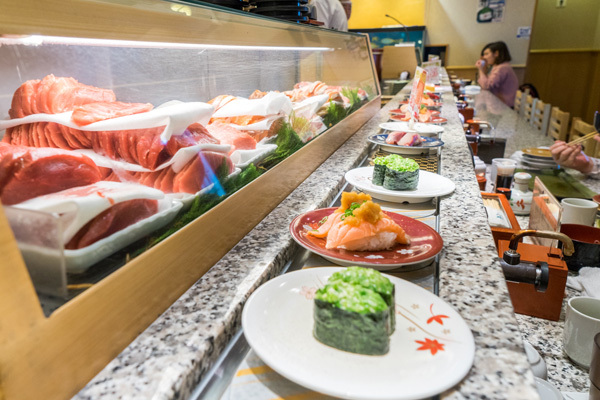 This conveyer belt sushi restaurant features professional, well trained chefs who make some of the most incredible pieces of sushi right in front of your eyes. Inside the atmosphere is lively and the restaurant has helpful staff ready to assist you with any questions or requests. There are English menu options available for non Japanese speaking guests, however you can also just pick up a plate from the rotating belt. With a variety of different types of sushi on offer each bite is more delicious than the last. 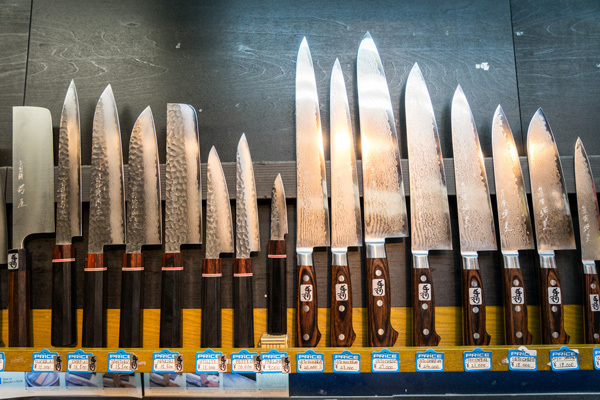 A stroll on Kappabashi Tool Street is a fascinating insight into Japanese culture. 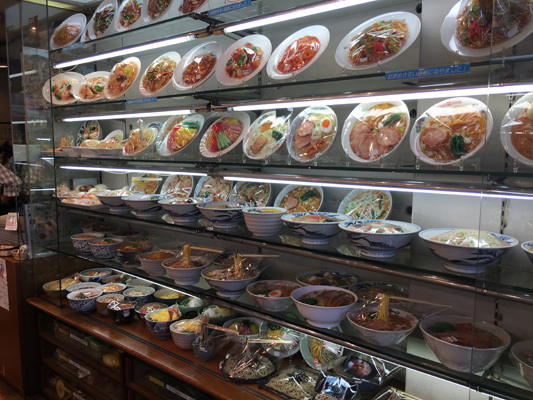 There's the store selling only chopsticks where you could spend hundreds of dollars for just one set; the knives that are handmade by the same people who craft samurai swords; and the shops selling the plastic replicas of dishes that you see outside restaurants. A lot of the items for sale on Kappabash Dougu Street are very affordable and it can be a great place to pick up some gifts or nice homewares. 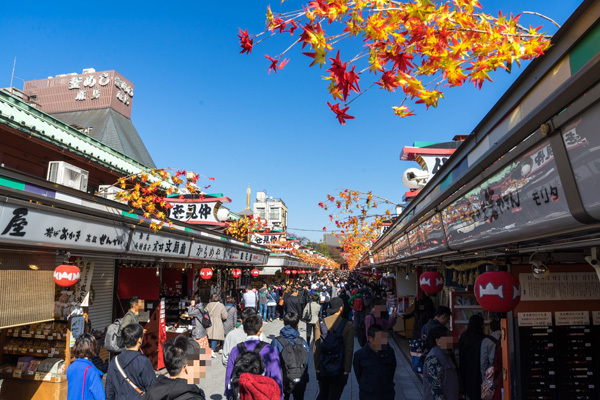 Locate not too far from the heart of Asakusa is the fascinating Kappabashi Dougu Street. 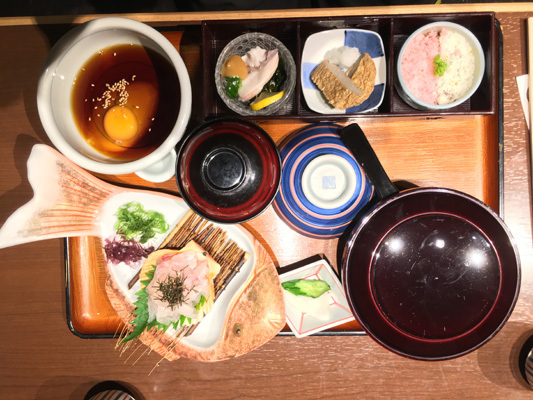 A visit to this area is a great way to gather some insight into what happens behind the scenes of Tokyo’s culinary world. 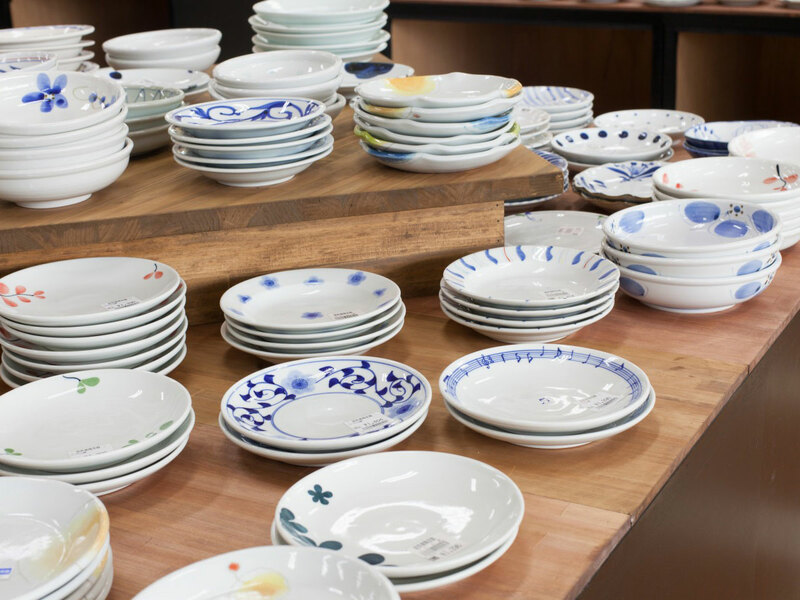 Overflowing with store providing all the kitchen wear and crockery you could imagine, it’s a must visit spot for chefs of all levels. For something very unique be sure to check out the display food stores as their realistic creations play tricks on your mind. 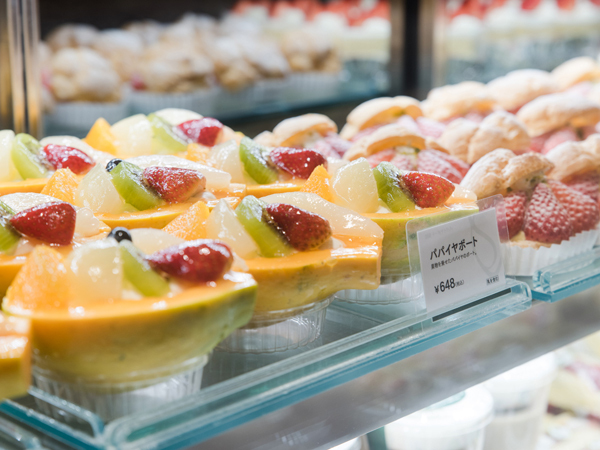 Venture down into the basement of a department store in Japan where food section is usually located, and you'll find a whole world of interesting food and drink. One of the largest in Tokyo is at the Isetan Shinjuku Department Store and it's the perfect spot to look around and buy some presents. 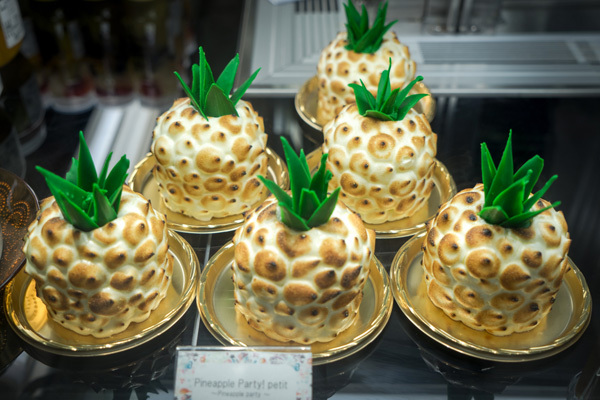 There are ornate Japanese sweets and traditional food items; chocolate boxes from European producers; and other treats designed as much for the aesthetic as the taste. There's also a selection of more than 400 types of sake and a vintage cellar with wine from across the world. 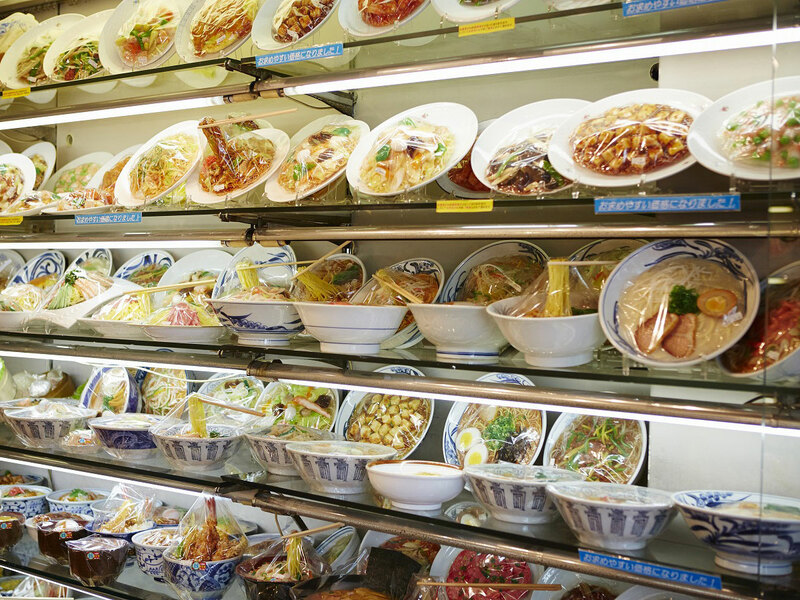 The department store basement (or 'depachika', as it's called) is also a good option for lunch and there are lots of takeway options in the deli section. 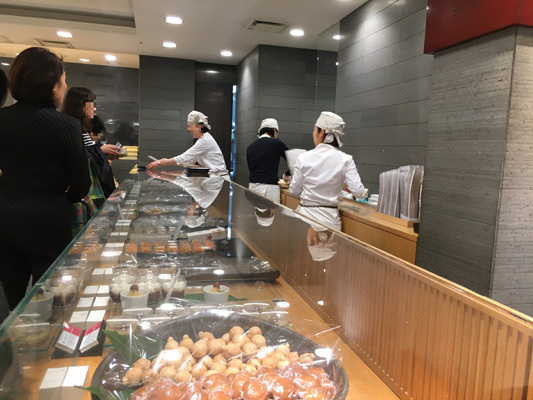 Visiting the Depachika located at the basement of Isetan in Shinjuku is a food experience like none other. Whether you’re after a quick lunch, something special for dinner or seasonal gifts you can find everything in this massive food emporium. The highlight of visiting the Depachikawas arguably our tour inside their store’s impressive win cellar. Home to a collection of different wines reaching back decades, a visit though this vintage cellar was like travelling back in time. 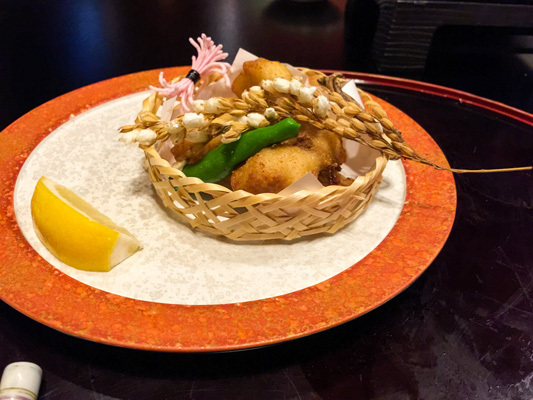 The food at Kushi Agemono Shuns is excellent and the dining experience is a lot of fun. The sticks of fried food come out gradually during the meal as they're cooked fresh and there's a selection of sauces and accompaniments to go with them. 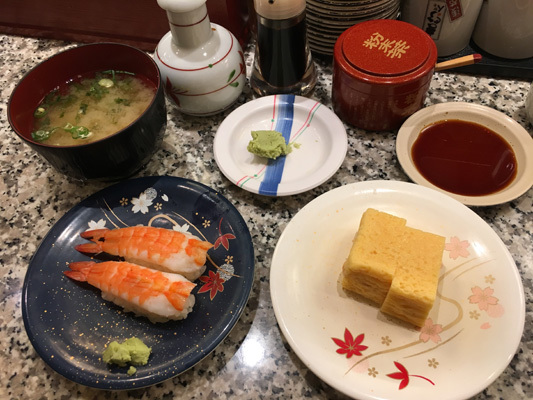 Sitting in the basement of Tokyo station, Kushi Agemono Shuns is a restaurant I’ll definitely suggest to visitors. 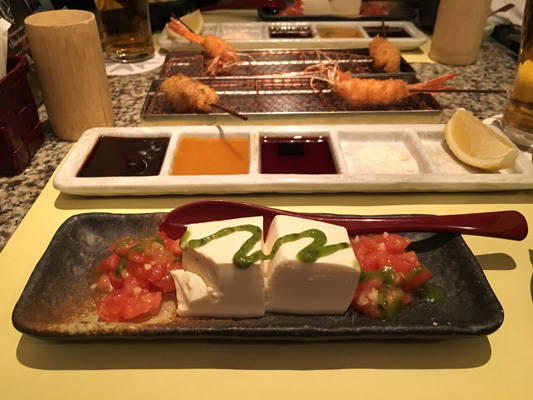 Its relaxed laidback atmosphere and well paced food service meant we could enjoy each individual skewer slowly and appreciate the full flavors of all the offerings. The Hotel Ryumeikan Tokyo is extremely well-located, right next to Tokyo station, which has a direct link to Narita Airport. The room is clean and comfortable with fast wifi. 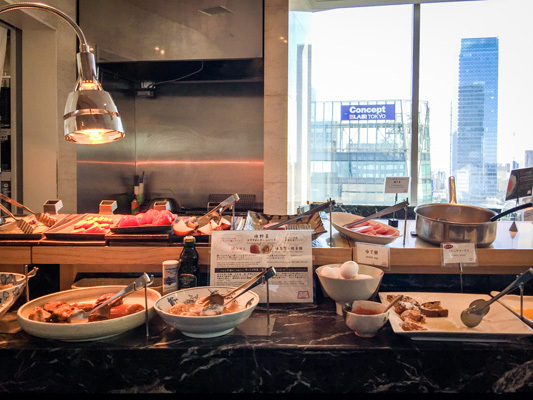 I really enjoyed the breakfast which offers a Japanese-style meal and a view across the city from the 15th floor. The hotel is also in a very convenient location from which to explore the city. 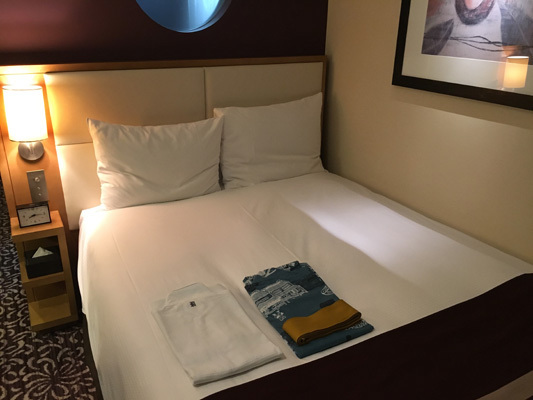 Conveniently located close to Tokyo station, the Hotel Ryumeikan Tokyo is a professional, well serviced hotel with some of the best amenities in the entire city. Comfortable spacious rooms with excellent views, an open light filled lobby and delicious breakfasts (both Japanese and western style) it’s a great place to base yourself if you’re planning on visiting the city for a few nights. JAL offers a fantastic domestic service. It's very quick to check in and get through security at Haneda Airport and then it's not far to the gate. 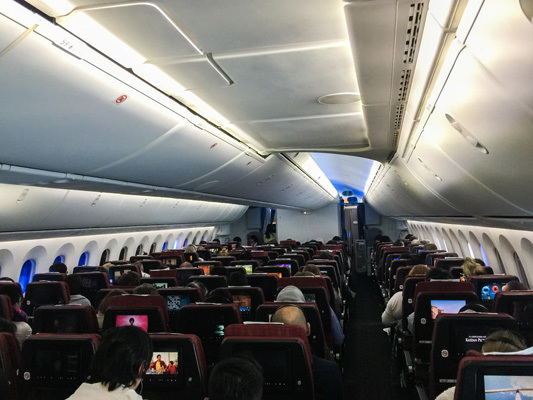 On board, I was impressed with the comfortable seat, the lovely flight attendants, and the drinks service (even for this quick flight). 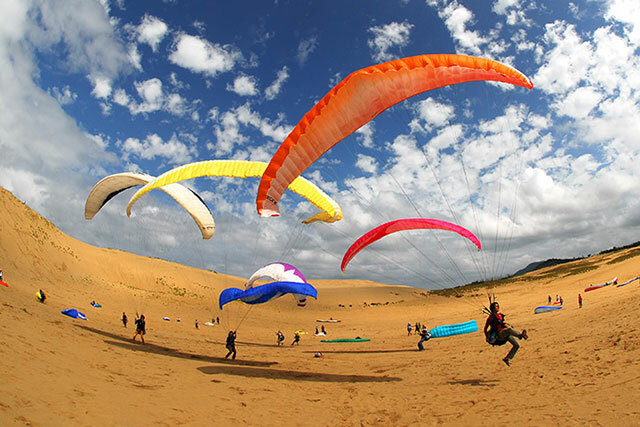 It's a really convenient way to quickly pop around Japan and make the most of a trip here. The flight from Tokyo to Ehime and return was a pleasure. From the initial moments of check in until I arrived at my destination I was provided with excellent professional service and care. 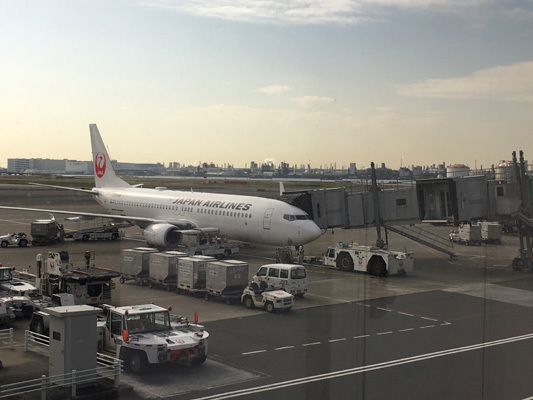 The seating on the JAL flight was spacious and meant that I could use my time on the flight working and relaxing without any hassle. There were no delays and the entire experience was incredibly smooth. 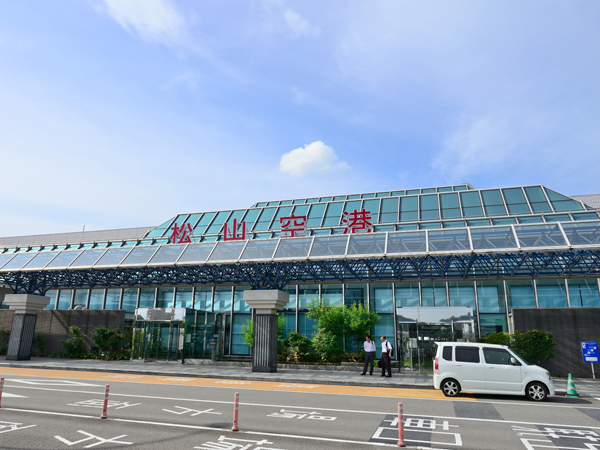 Matsuyama Airport is the port of entry for air travelers to Ehime Prefecture and is Shikoku's largest airport, bustling with activity everyday. 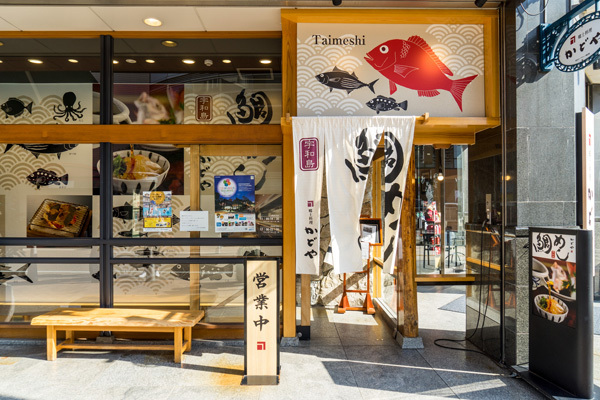 Along with food and drink shops, there is a shopping zone selling various souvenirs such as Matsuyama Airport limited goods, as well as a lounge where visitors can enjoy locally-brewed Ehime sake at a reasonable price. 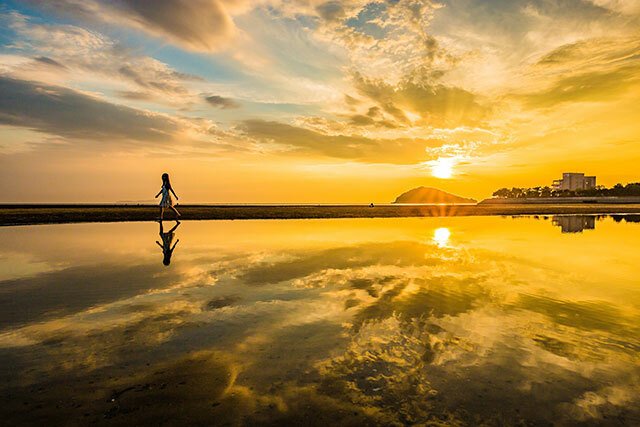 In addition, there is an interpreter service that provides instant service via tablet devices, a multi-lingual information board, and even a free Wi-Fi spot, to help foreign visitors travel with peace of mind. Furthermore, on the 3rd Sunday of every month, an event is held where Ehime Prefecture's symbolic product, mikan juice, pours out from a faucet, with free samples given out. 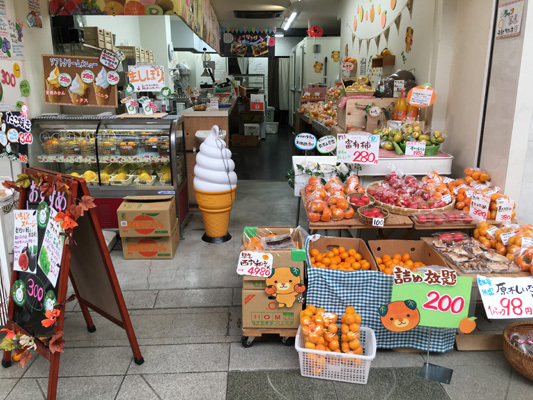 The sight of mikan juice pouring out from a faucet can only be seen in Ehime, so be sure to stop by when this event is held. One of the local delicacies in Matsuyama is Taimeshi, a dish where sea bream is served in raw egg and soy sauce over rice. 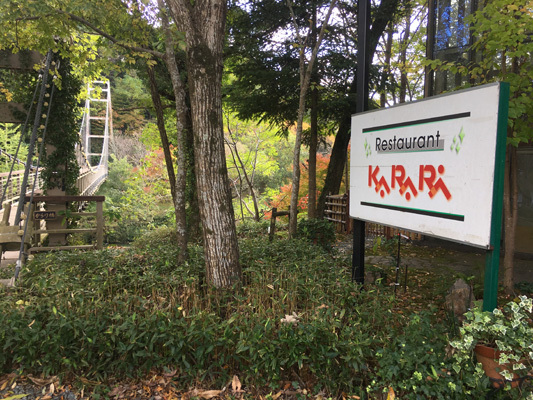 Kadoya restaurant is also in a really convenient location, right next to the city's main shopping arcades and just a short stroll to Matsuyama Castle. 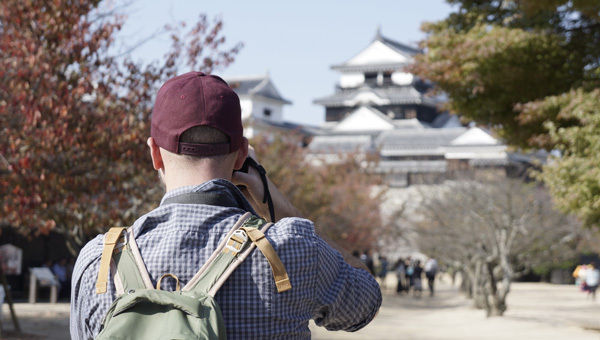 Matsuyama Castle is certainly one of the main highlights of a visit to the city. 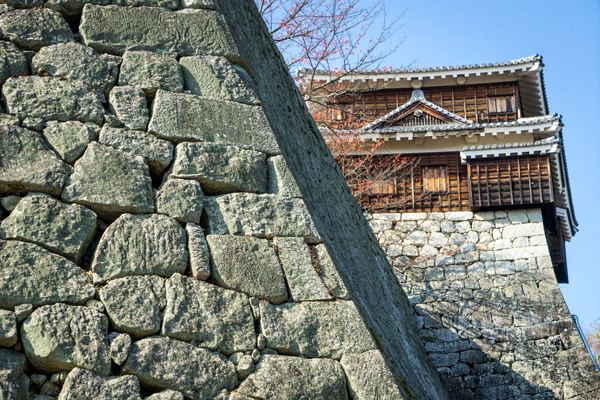 It's one of only 12 castles remaining from the Edo Period and has been extremely well preserved. As you approach the main castle compound, the path is surrounded by trees that turn a beautiful pink for cherry blossom season in spring and a vibrant red in autumn. Inside the main walls, you can climb into the castle to see the exhibitions about the site's history and get a close-up look at the living conditions and defences. There are also spectacular views across Matsuyama from the top. I think the castle is a must-see when you're here. Lunch at Kadoya was a fantastic introduction to Ehime. The interior of the restaurant traditional in style with a modern edge, with sliding doors and below ground seating. I ate sea bream and classic style dishes which were incredibly fresh and gave great insight into the produce of the area. 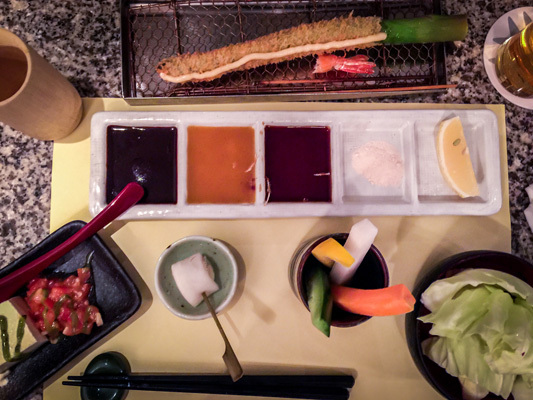 Each dish was carefully prepared and the restaurant’s staff was kind enough to explain each plate. Matsuyama Castle is incredible, though it seemed popular with local tourists, it’s definitely a well kept secret from the world outside of Japan. 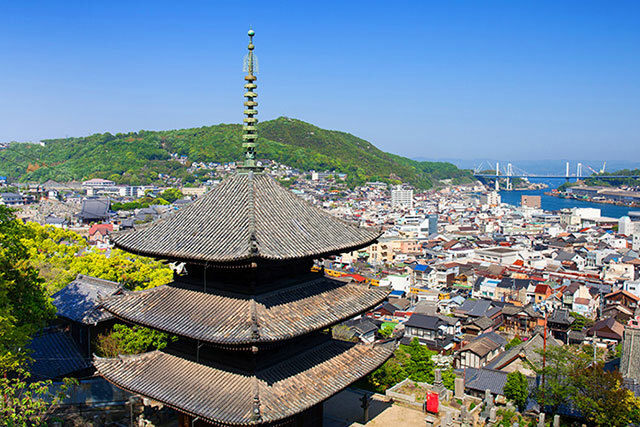 Rich with history and surrounded by incredible natural beauty, the Matsuyama Castle area is worth a visit for anyone with an interested in Japanese culture and history. I visited during autumn, which was beautiful, but I’d love to explore the area during spring. The ride up to the castle grounds on the hanging chairlifts was an unforgettable experience too. 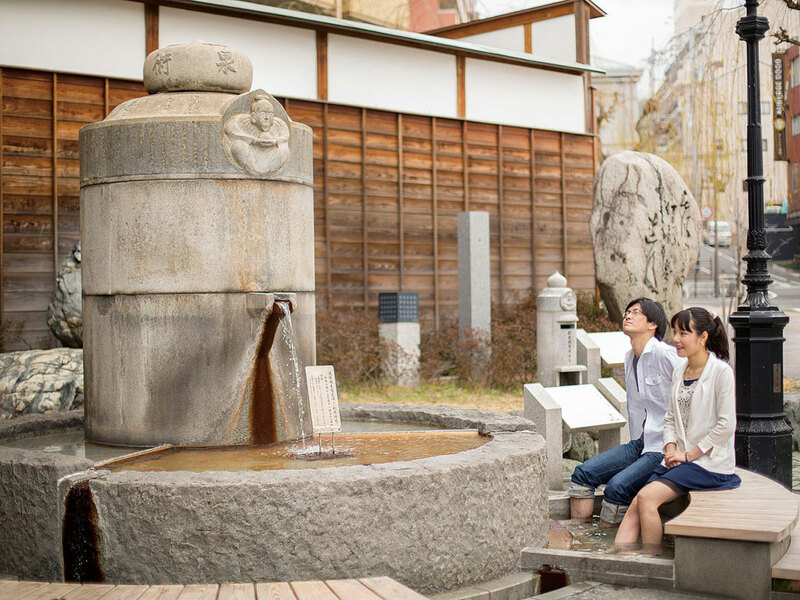 Although the hot springs at Dogo Onsen may be the main attraction, the whole area is a bit of a tourist's playground. There's a long arcade with about 60 gift shops full of souvenirs and local food and drink products. It's perfectly acceptable to put on the traditional Japanese outfit called the 'yukata' with wooden sandals and stroll around the shops. Look out for the town clock, which does a show each hour. 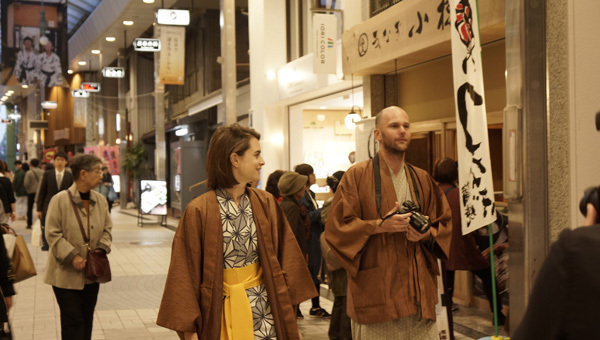 Wandering around the onsen area while wearing a yukata was a unique experience. Rich rich history and incredible architecture the area is a must visit for anyone interested in local history. 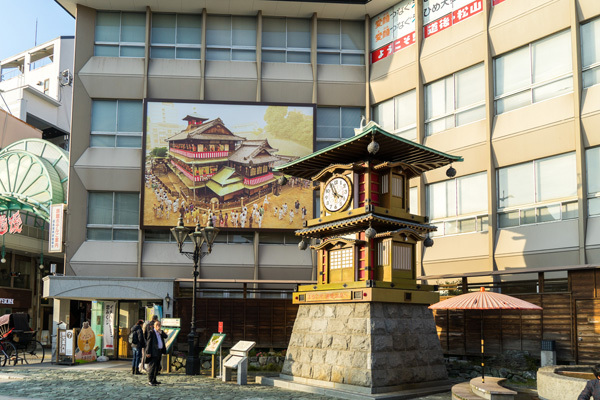 The area is filled with atractions and great gift stores, but the highlight was watching the Botchan Karakuri Clock transform every hour （or every half hour depending on seasons）from 8am to 10pm which it does daily. 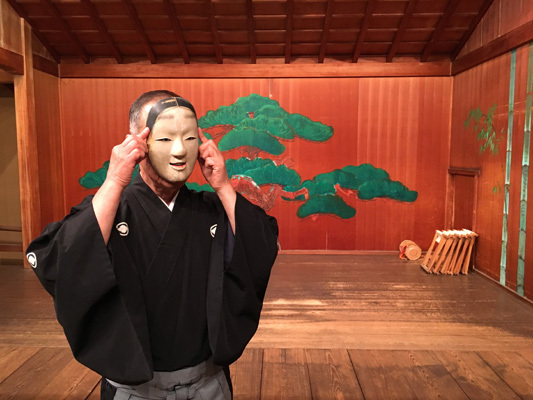 At the Yamatoya-Honten hotel, you can have an opportunity to see a demonstration of the traditional 'Noh' theatre performance. This classical musical drama has been performed since the 14th century and uses masks and gestures to tell the stories. 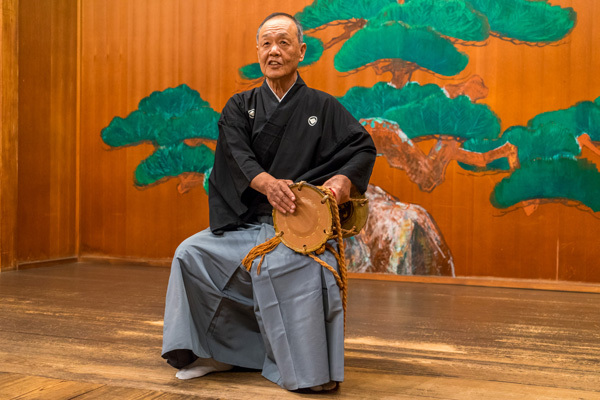 A veteran performer will explain the stage and the customs beforehand and even let you try the instruments for yourself before he does a brief run-through of a simple recital. 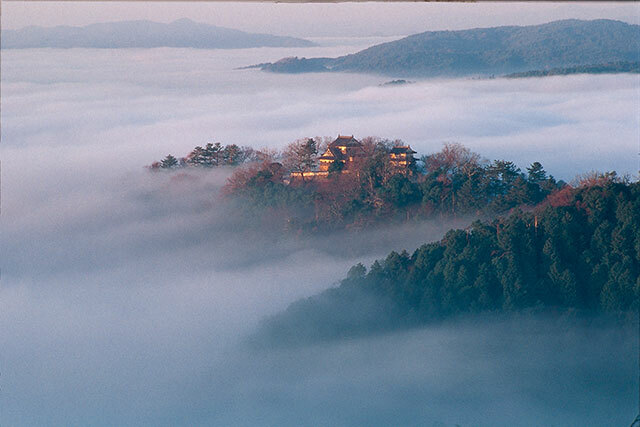 The Yamatoya-Honten is everything you would want for a stay at Dogo Onsen. Not only is it very conveniently-located right next to the historic onsen building, it captures the best of traditional Japan with modern comforts. 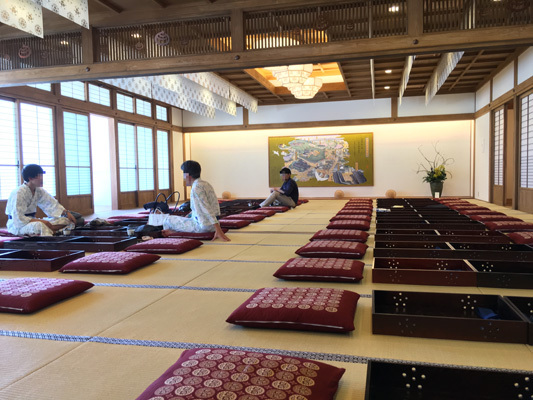 The large rooms have tatami mats and paper screen walls but Western-style bathroom facilities. The wonderful hotel staff will make a futon bed in the evening. 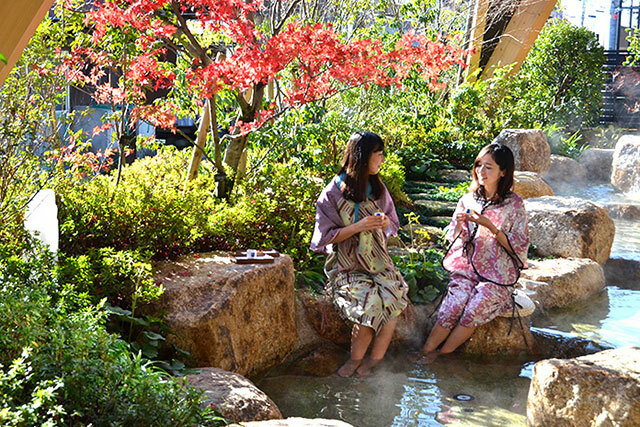 The hotel has relaxing onsen facilities and a restaurant that serves delicious Japanese or Western meals. I really enjoyed staying here for a couple of nights. 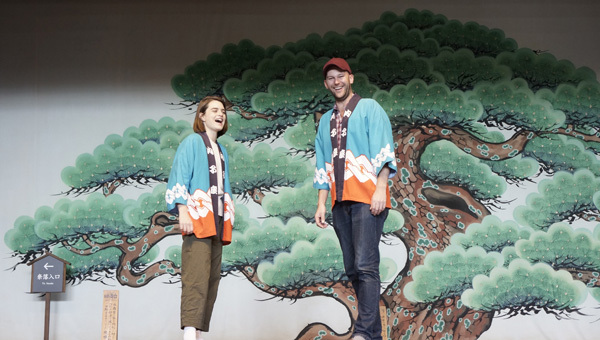 Learning all about the history of the traditional art of Noh performances was a great way to learn about the culture of Ehime. The performer’s introduction to how the performance came to be plus the opportunity to wear a Noh mask while standing on stage gave me a new level of appreciate for this classic art. Watching a performance after learning about its history gave me a unique insight I wouldn’t otherwise have. This traditional style hotel is one of the most beautiful places I’ve ever visited in Japan. 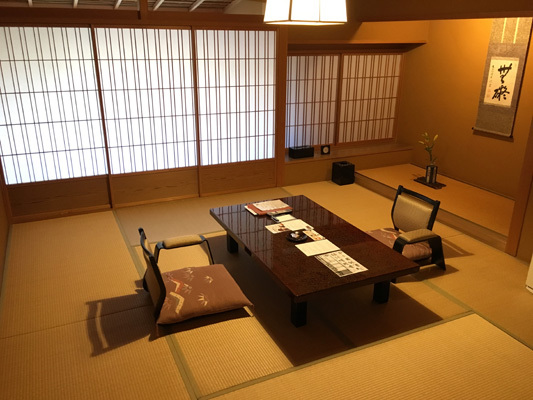 Staying in ryokan style accommodation is the best way to really immerse yourself in the area’s culture. The rooms were incredibly spacious and impeccably clean. The services from check in were perfect. The ryokan is also home to a number of hot spring baths that offer the best bathing experiences I’ve ever had. The restaurant’s breakfast and dinner was incredible too. Made with fresh local produce their classic Japanese dishes were some of the best I’ve ever had. 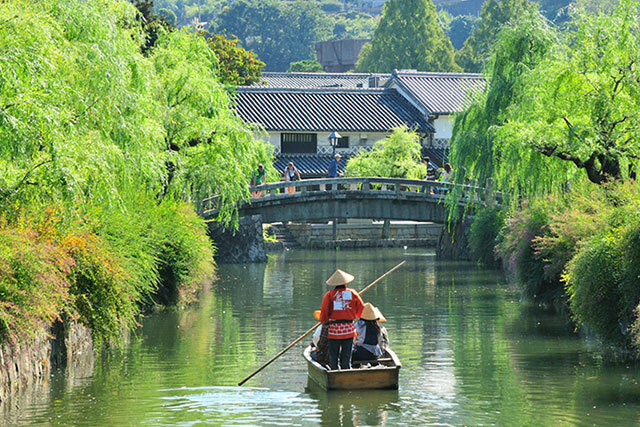 A short train ride from Matsuyama is the delightful town of Uchiko. 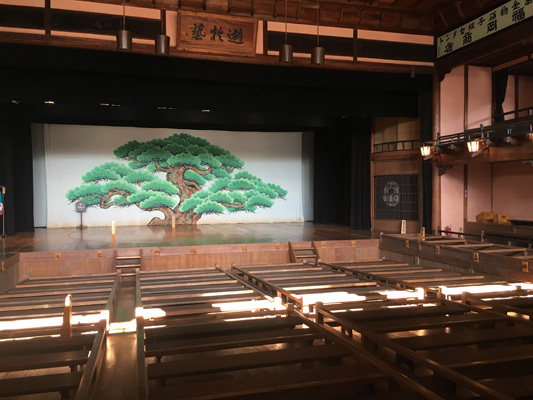 The local theatre, called Uchiko-za, is one of the highlights of a visit here. It was built in 1916 and used for all sorts of performances. Although it fell into disrepair, it was restored in 1985 and is still used for theatre and music about 60 times a year. I think it’s really interesting to go inside and have a look at the design and learn a bit more about the space. You can even go under the stage to see some of the ingenious mechanics that were once used. There are lots of other things to see in Uchiko but probably the most interesting area is around the historic streets of Yokaichi-Gokoku. You can pop into a few of the public buildings that are open and have free entry to see what life was like here during the economic boom that came from the region’s wax production. 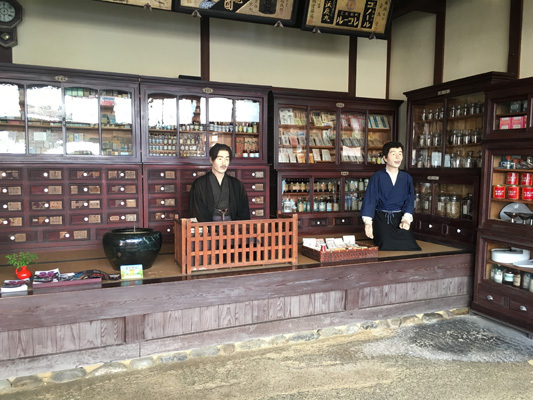 I think it’s also worth going into the Kamihaga Residence and Japanese Wax Museum to learn about the history in more detail. 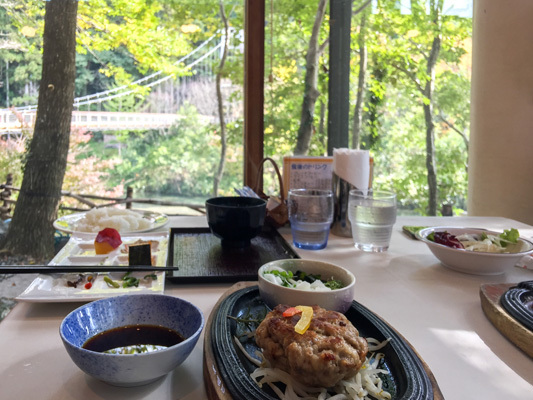 The restaurant at Uchiko Fresh Park KaRaRi has great food and a wonderful location right next to the river, with views out the large glass windows. 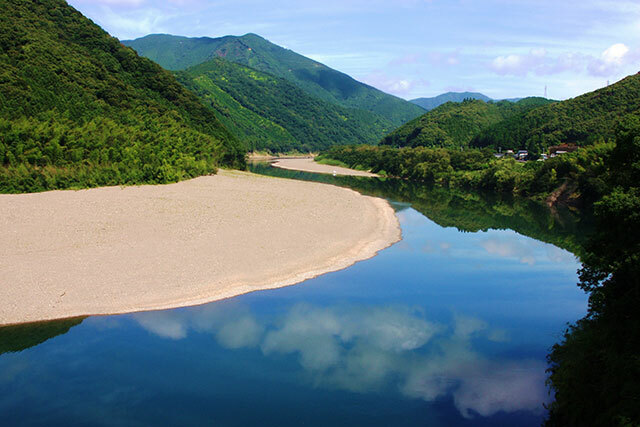 There is a bridge and a beach at the river, which is a popular swimming spot for children in the warmer months. 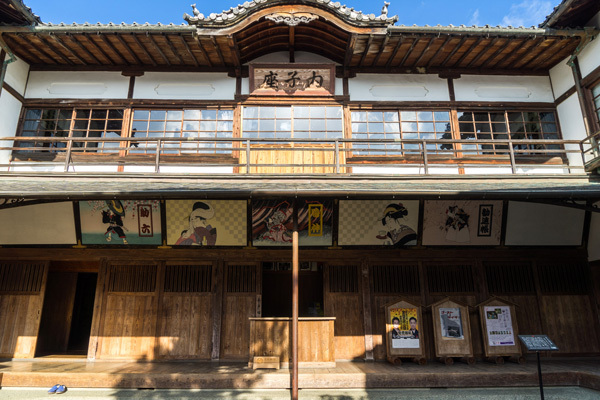 As soon as you approach the entrance of Uchiko-za Theatre you can feel the weight of its history. 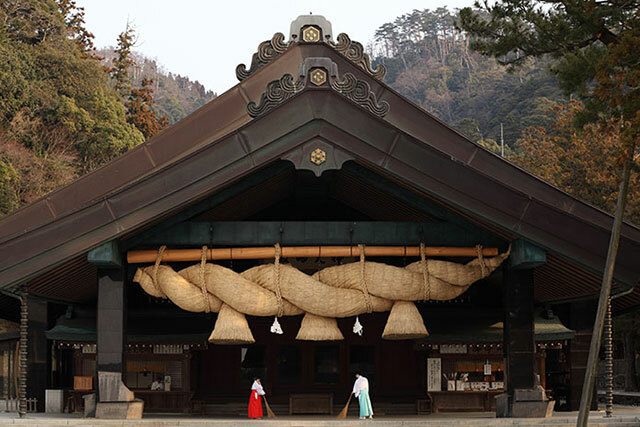 Located in town of Uchiko which became prosperous by the production of raw silk and Japan wax, it's a monument of a special moment in time. Touring around the theatre and exploring how Japanese performing arts work and I’m so glad I got to experience it. With a capacity of 650 people, the theatre is still home to regular shows which I can only imagine would be magical. 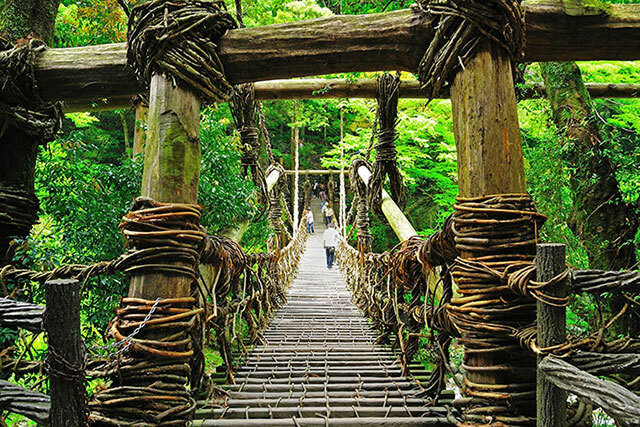 This area is a fascinating little hidden pocket of Japan. Visiting the wax museum and the Kamihaga residence as well as wandering through the streets felt as though I had stepped back in time. Built off the back of the area’s financially prosperous years, the town remains untouched by time and outside influence. 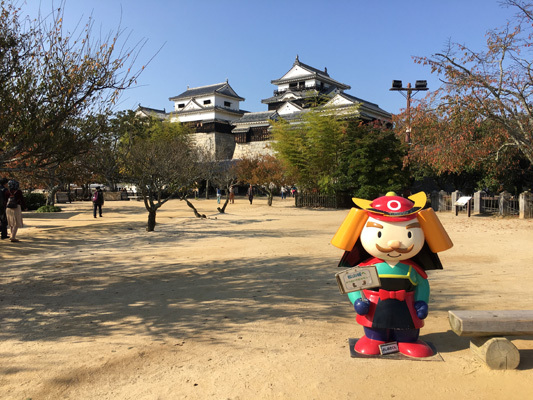 Overflowing with natural beauty and incredible historic architecture, I couldn’t recommend a visit to Yokaichi-Gokoku highly enough. Uchiko Fresh Park and lunch at KaRaRi was a great way to get in touch with the local culture of the area, something many foreign guests don’t typically have the opportunity to do. The markets displayed some of the most incredible produce I’ve ever seen and our hambug lunch overlooking KaRaRi was a wonderful way to soak up the serenity of Uchiko town. The villa is a refined building overlooking the deep waters of the scenic Garyu-buchi in the Hiji River basin, known by its nickname the "Katsura Imperial Villa of Ozu." 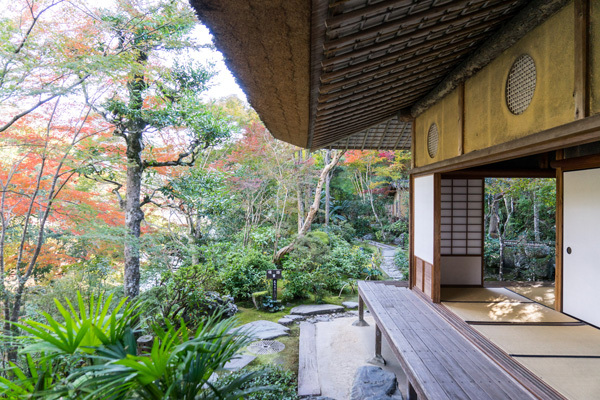 With the sumptuous designs decorating even the smallest parts of the building, its beauty prompted Japan’s leading architect, Kisho Kurokawa, to say, “I want to take possession of it even if I were to go into debt.” The clear air refreshes the mind, and the silence makes you forget the world. 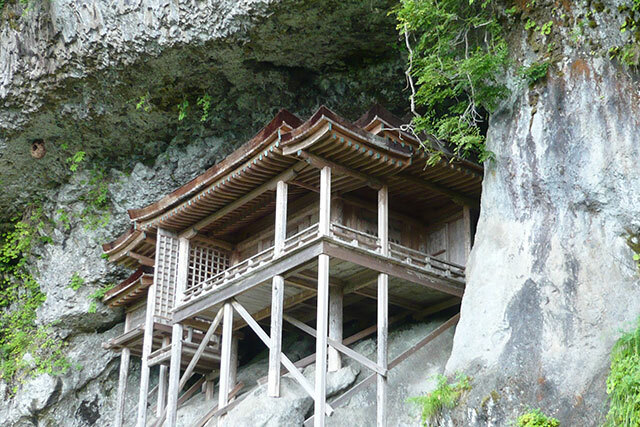 It is an extraordinary architectural work where ancient Japanese beauty and character meet. One of the highlights of a visit to Ozu is the villa and garden complex at Garyu Sanso. 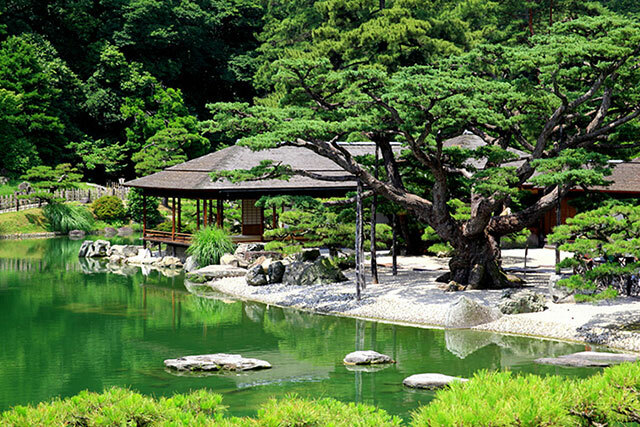 It was all built more than a hundred years ago and has the atmosphere of eternal peacefulness. The main building has so many details that I find fascinating, particularly the way they interact with the nature. 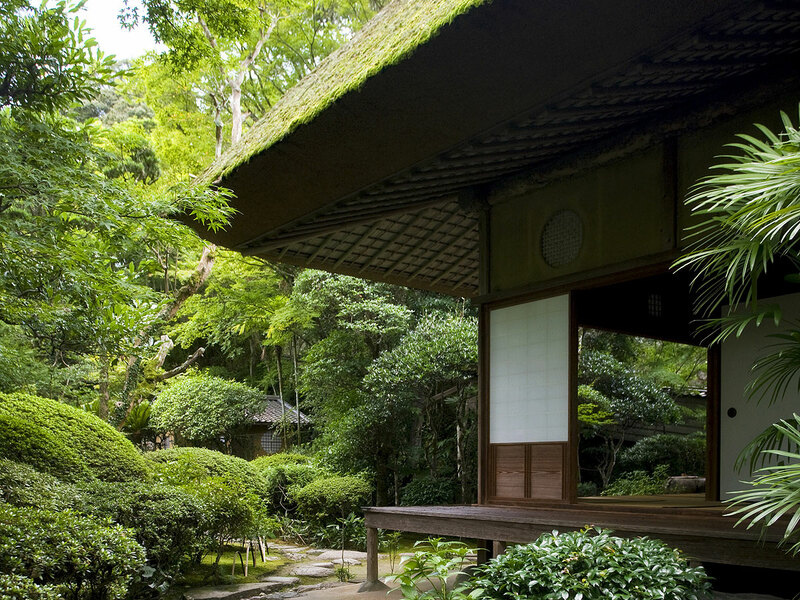 The garden is also stunning and leads to a beautiful teahouse over the river. I would suggest taking your time here and soaking up all the subtleties in the design. Garyu sanso is one Japanese secret I want to tell everyone about. 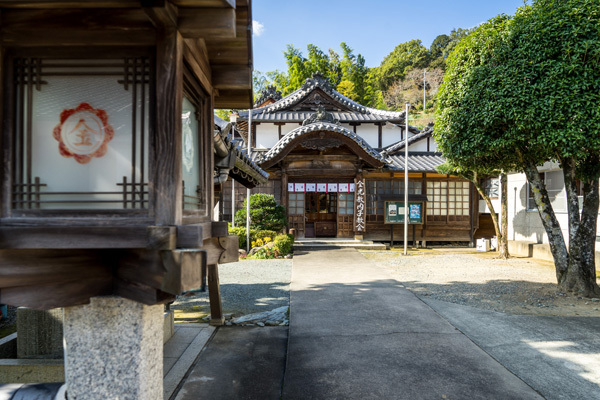 This stunning old villa located by the river east of Ozu's old town in Ehime Prefecture, on the island of Shikoku is worth the journey to visit. Built in 1907 this traditional style home took four years and 9000 artisans to create, and its craftsmanship is amazing. 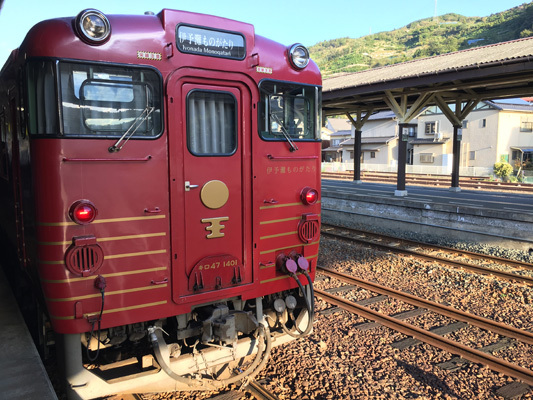 The sightseeing train that makes two round trips a day between Matsuyama and Iyo-Ozu/Yawatahama. 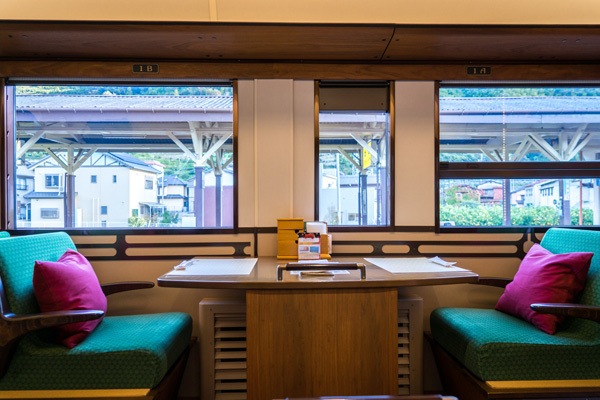 Sitting on roomy seats in the train with the “retro-modern” interior creating a tranquil atmosphere, passengers can enjoy attractive scenery from the train window during all four seasons, as well as meals rich with fresh local ingredients. The hospitality of exclusive attendants and the genuine welcome from people along the line warm the hearts of passengers. 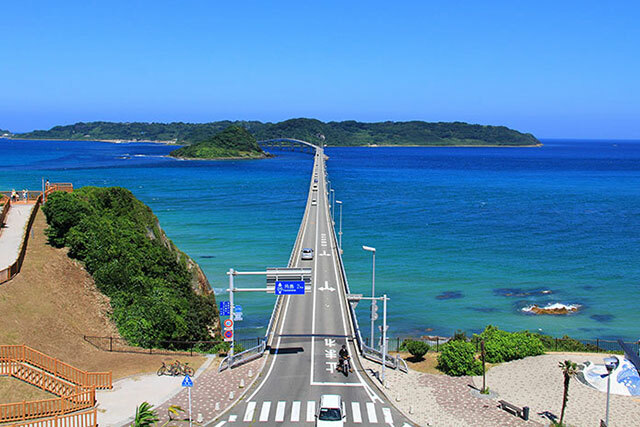 The coastline of Shikoku near Matsuyama is beautiful and I think one of the best ways to see it is on the luxury Iyonada Monogatari train. If you get on at Yawatahama, it will take just over two hours to arrive at Matsuyama. You can get a wonderful afternoon tea while you’re on board but the most interesting things happen outside the carriage. As well as the sights along the way, many of the residents who live along the track will dress up and come and to wave as you go past. It’s a really fun experience. 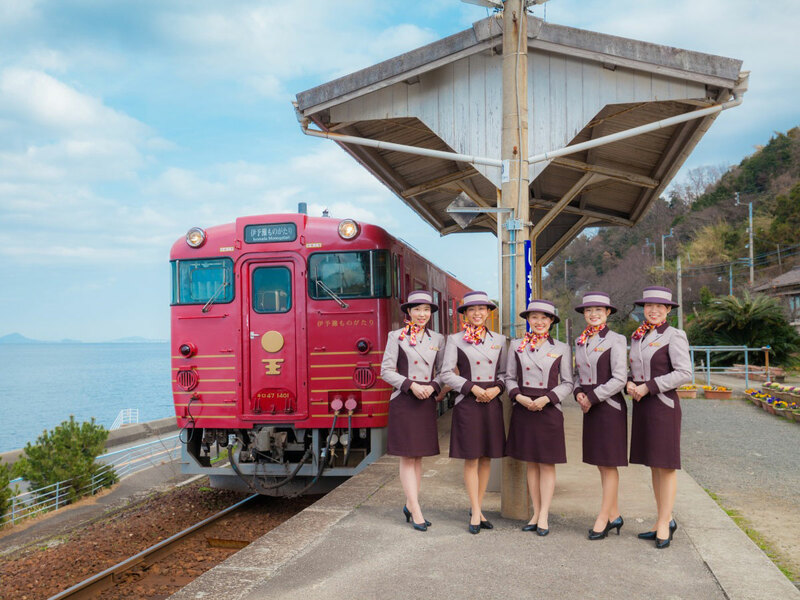 Located along the coast of Shikoku, this train line is one of the best, most luxurious and unique ways to see Ehime prefecture. 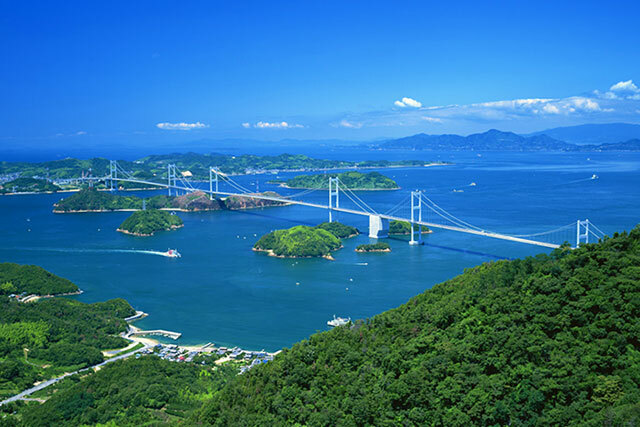 Travelling between Matsuyama and Yawatahama, the Iyonada Monogatari runs just a few times a week allowing visitors incredible views of the Iyonada, from which the train takes its name and the Seto Inland Sea. This train is so popular and famous in the area that locals come out just to wave to its passengers, which made the experience almost surreal. The food and service was incredible too. I think that this trip will the the best train ride I’ll ever experience in my life. 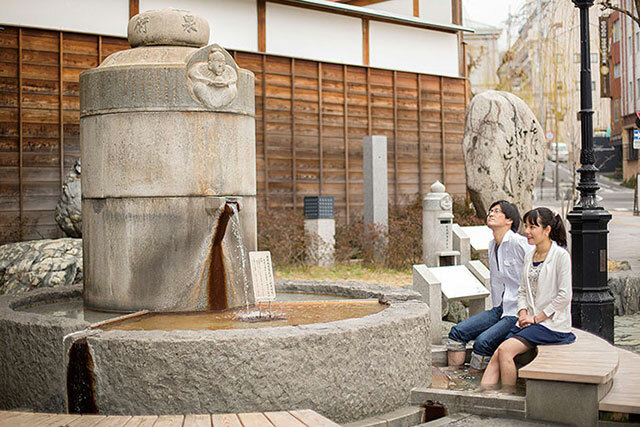 The hot springs at Dogo Onsen are said to be the oldest in Japan and have a history of more than 3000 years. The process for using an onsen can seem a bit intimidating at first but there are lots of instructions and help in English here, which is comforting. You can soak in the hot waters and then also relax in one of the traditional rooms with some tea and snacks. As well as the older-style building, there is a modern onsen building as well. 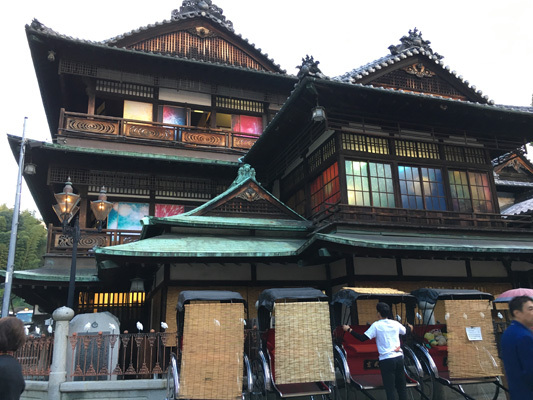 It was amazing to have the opportunity to visit Dogo Onsen Honkan is which is the inspiration behind the onsen in Studio Ghibli’s famous film ‘Spirited Away’. Given that it’s one of the country’s oldest and most famous hot springs, I couldn’t recommend it highly enough. 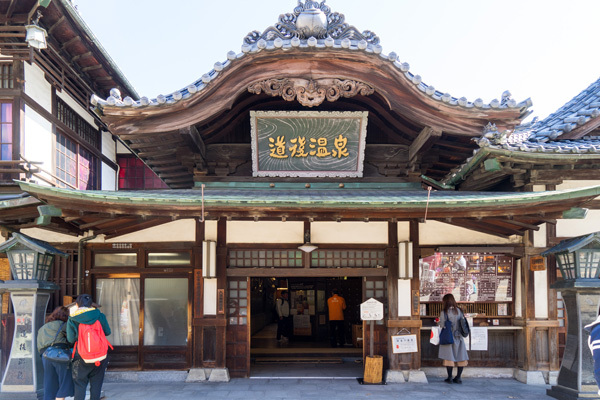 The newly created Dogo Onsen Asuka no Yu is another amazing onsen which combines old style traditions and taste with a much more contemporary appeal. In the centre of Matsuyama, there are a couple of pedestrian arcades with a large range of shops and restaurants. 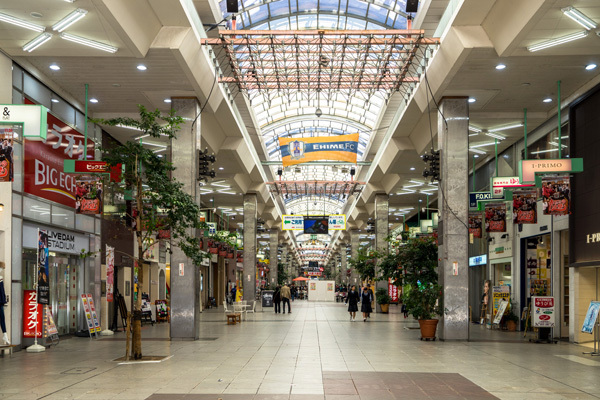 If you’re keen to do some shopping or have a look at normal urban life in Japan, then these would be good places to spend a bit of time. 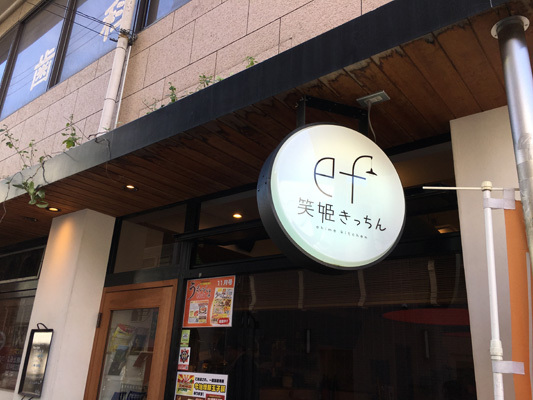 ”Ehime Kitchen ef” is a great place to try one of Imabari's, which is next to Matsuyama, local dishes – Imabari Yakibuta Tamago Gohan. 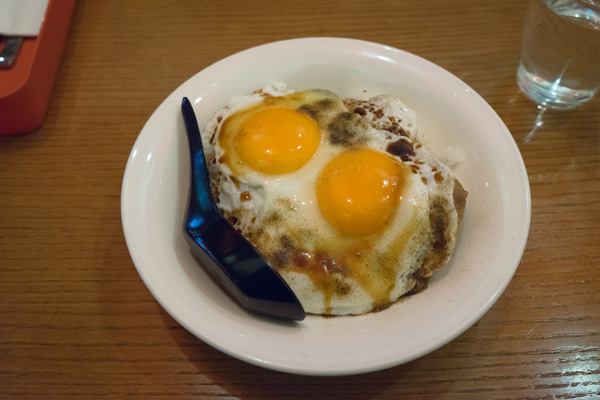 It’s a bowl of rice covered with slices of fried pork and topped with fried eggs. You eat it with a spoon and it’s a quick and nutritious meal. Another treat is that the restaurant has fresh mikan orange juice on tap! Wandering through Okaido Shopping Arcade and Gintengai Shopping Arcade Was a great way to get a glimpse of the local atmosphere of the area. When I visited which was a Sunday a number of local events were happening including craft stalls and tea ceremonies. A mixture of new commercial ventures and old style appeal this shopping strip was an excellent place to explore. This laid back café and restaurant provided some of the most delicious comfort food I’ve ever had in Japan. The rice bowl I has was topped with Grilled Imabari Pork and Sunny-side up egg and it featured some of the tastiest pork I’ve ever had. 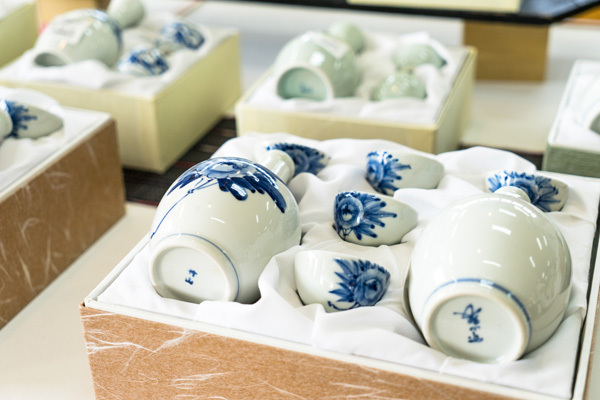 The pottery made at Tobe is famous throughout Japan for its robust quality and distinctive designs. If you head out to Tobe, you’ll find a good selection of items for sale at reasonable prices. 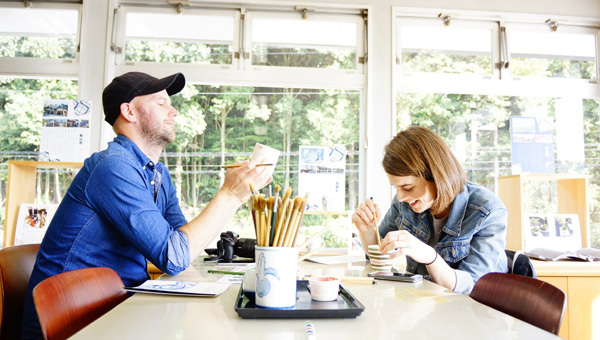 At Tobe-yaki Togeikan, you can even try your hand at painting some of the items before they’re glazed, to put your own mark on one of these special pieces of pottery. The Tobe is famous for its pottery, so having the chance to visit the home of where it’s made was a great way to understand the local culture and history of the area. 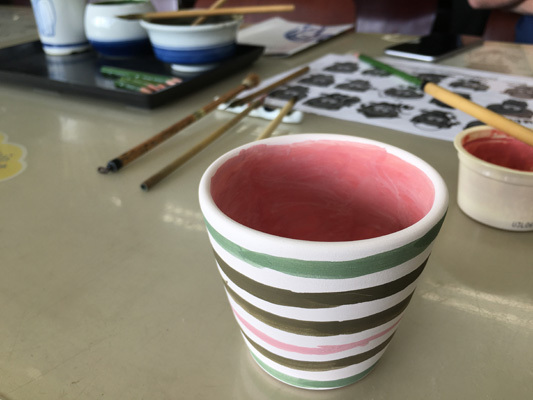 Having the opportunity to hand paint my own unique piece of Tobe pottery was one of the best hands on learning experiences and the finished piece will be delivered to my house. If you like arts and crafts, I couldn’t recommend a visit highly enough. It is so quick and easy to get to Ehime prefecture by plane but it feels like you’ve arrived in such a different world to Tokyo. 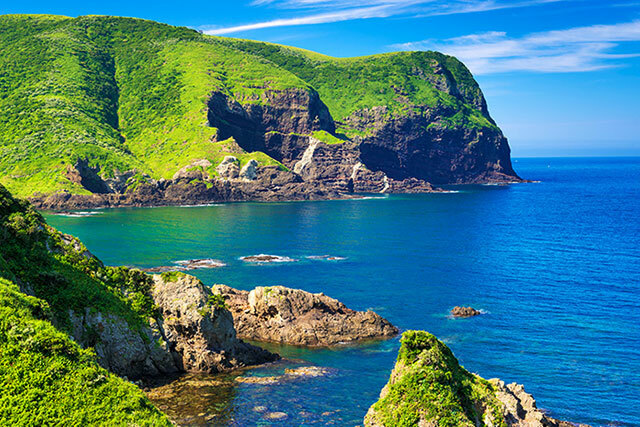 Everything is more relaxed and the wonderful small towns are surrounded by stunning nature and the glistening coastline. 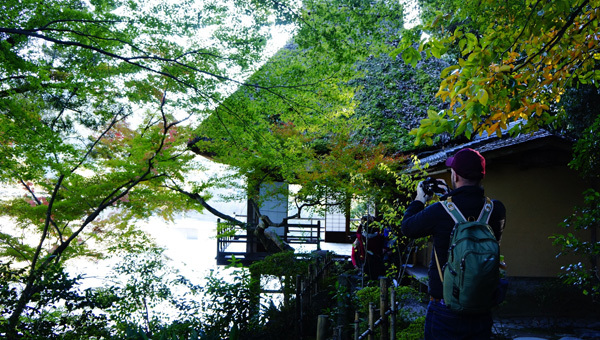 I loved being able to experience these two sides of Japan in the one short trip. 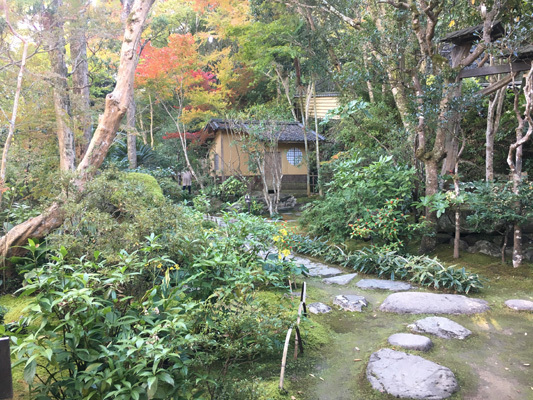 The traditional aspects of Japanese life – like the hot springs, the temples and the food – are so interesting and this itinerary is a wonderful way to see a whole range of things in just a few days. The tour was one of the best Japan travel experiences I’ve had in my life. 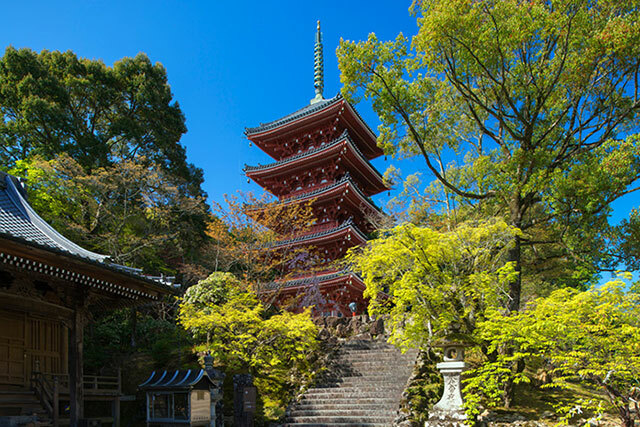 From learning about the history of Tokyo, then moving on tor visit everything Ehime has to offer gave me a newfound appreciation for Japanese culture and history. The Ehime area is full of unique one of a kind places and I cannot wait to tell people about it. The service both on tour at the hotels and restaurants was fantastic. It’s truly a trip I’ll never forget. It's amazing to think that you can have such a different environment within the same country after such a short flight! 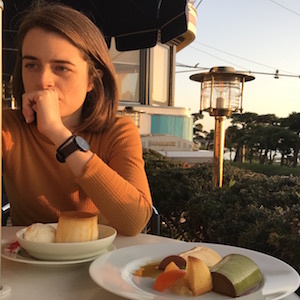 I love experiencing the contrast between Tokyo and Ehime and exploring the culture they both have to offer. 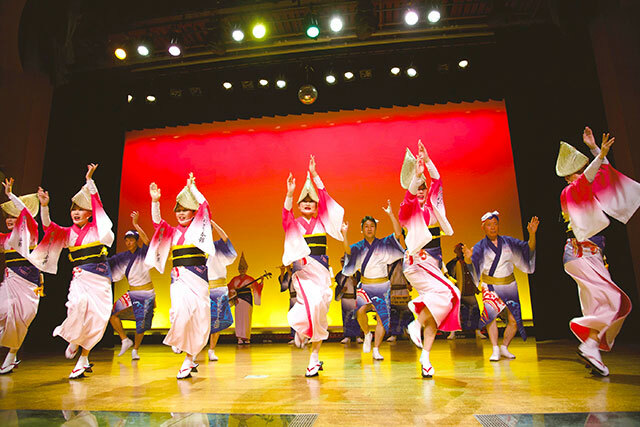 The Tokyo and Ehime tour that I attended was both an unforgettable experience. 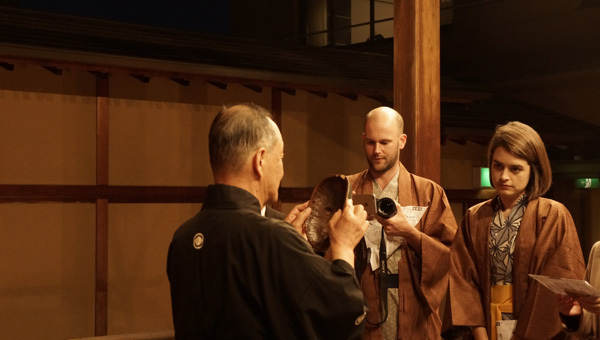 The visit to Asakua provided great insight into the history and spirituality of Tokyo. 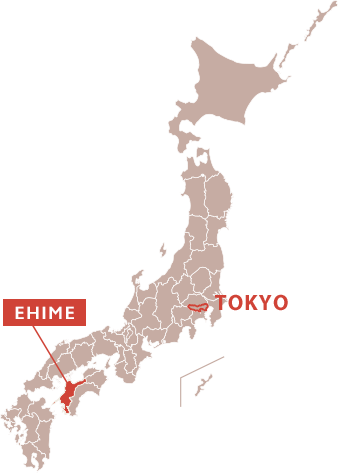 My visit to Ehime was my first time in the Shikoku area and it was a fantastic introduction to this fascinating pocket of Japan. Through this trip, I saw, learned, ate and experienced things I would never have thought of before when visiting Japan. Main hobbies include travel, writing, reading, learning about Japanese culture and everyday life. 1 year and six months.